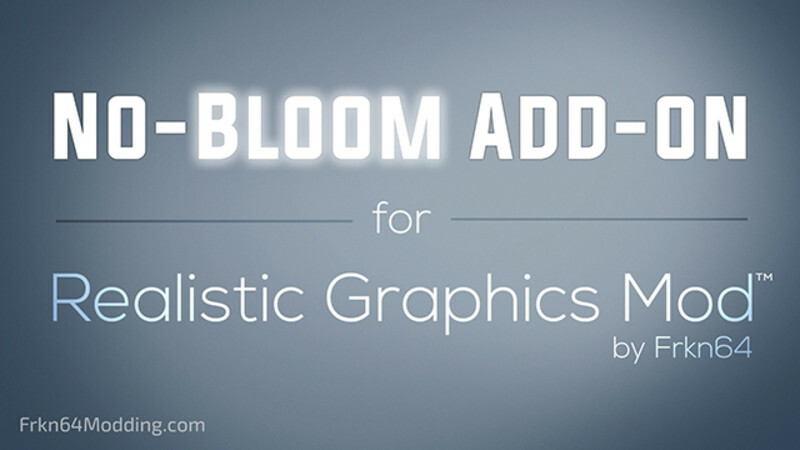 This add-on removes the bloom effect that occurs when a light is reflected directly on light colored objects or surfaces when using Realistic Graphics Mod. – This addon must have higher priority than Realistic Graphics Mod in Mod Manager to work. This addon cannot work together with Darker Nights Add-on of Realistic Graphics Mod! One of the addons will not work properly when both addons are used together.